Websites like Expedia make traveling arrangements so simple you can book your flight, your hotel, and your rental car in under 10 minutes—at the best prices the internet can find. In fact, these sites have practically put travel agents out of business, because there’s no extra fees for connecting your flights for the shortest layover. However, when you work for a company and travel a lot, this isn’t always the best way to go—and may not even be saving you any money. Here’s why you need to hire a business travel agent for corporate travel. Whatever it is you’re traveling to do, that’s what you get paid for. Travel agencies get paid to arrange travel, and that means they should be as good at arranging corporate travel as you are at whatever it is you do. When they’re taking care of your travel arrangements, your employees can focus their time on their own jobs, instead of looking for the best flights. Additionally, travel agencies know how to work around all the policies and requirements of the different companies they book for, which means you don’t have to worry about it. Sure, Expedia gives you the best prices the internet can find. But when you work with business travel agencies, these companies can actually find the best prices. Remember, your travel agency isn’t just going to be your travel agency; they work for dozens or hundreds of organizations. All that work leads to a lot of contact with airlines and rental companies and all that contact can turn into some really great relationships. Those relationships can transfer into some serious discounts for your corporate travel expenses. Additionally, when you work with travel agencies, you can accrue other benefits you might not be getting, like VIP check ins and room upgrades without the strings and fees generally attached. 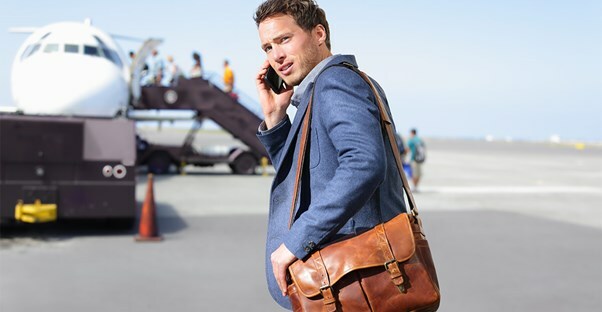 Working with a business travel agency can give you access to a lot of information you miss out on when you fly or rent or spend the night through your own arrangements. If you’re traveling to other countries, they know exactly what kind of paperwork you need to have arranged and even what sort of currency to have in your pockets. Furthermore, they can provide more complete itineraries, right down to delays you might not know about until your employee is sitting in the airport for twelve extra hours (hours that could have been spent working, right?). Many travel agencies even provide 24-hour support with a specific contact, for those times when you get in a bind and the airline isn’t going to any extra lengths to help you out. Are Travel Agents Worth the Extra Cost?